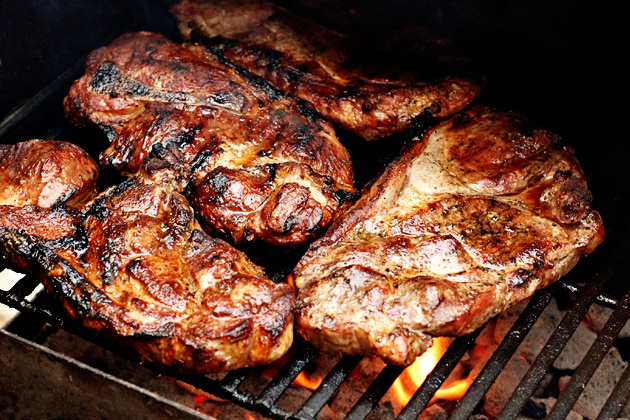 Malcom Reed is back with a tutorial on How to grill Smoked Pork Steak. 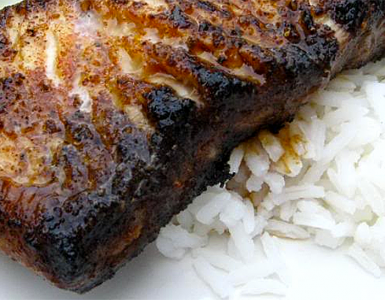 Malcom puts together an apple-brined pork steak that is smoked on a grill or smoker. 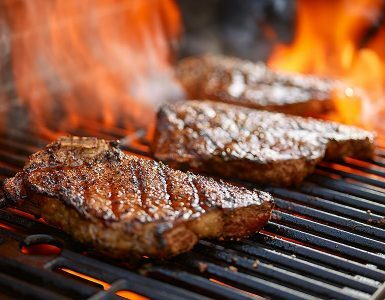 It is a simple recipe that makes a delicious and juicy pork steak. 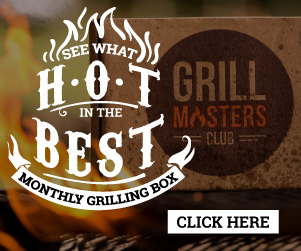 For over a decade now, Reed has been competing in barbecue competitions — and it didn’t take long for this hobby to develop into a full-blown addiction. 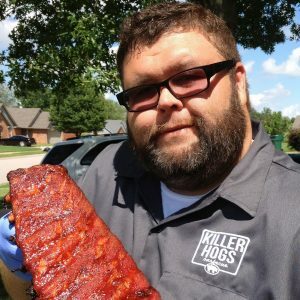 After being inspired by the comradely and brotherhood of the sport, Malcom developed HowToBBQRight.com, a site devoted to sharing BBQ techniques and promoting the competition BBQ lifestyle. Through his cooking team, The Killer Hogs, and his barbecue business, Malcom is a constant student of ‘Que. His goal is to share his knowledge and passion with everyone. Mix ½ the water with the dry ingredients in a large pot until dissolved. Add several handfuls of ice to cool the mixture and then pour in the remaining water. Place the Pork Steak in the brine and refrigerate for 1 1/2-2 hours. Remove the steaks from the brine and drain off any excess liquid. Use a paper towel to blot each one to remove the moisture. Next, sprinkle on The BBQ Rub on each side. Allow the meat to rest for 30-45 minutes at room temperature. This gives the rub time to work its way into the meat and helps the steaks cook evenly. Cook the Pork Steaks at 250-275 degrees over direct heat. 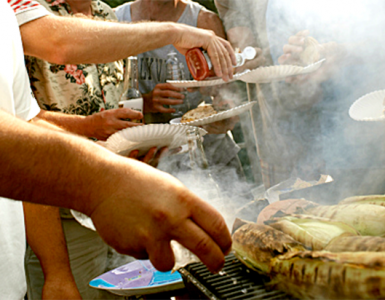 For smoke use a few chunks of apple wood. (just enough to produce a mild, light smoke) With thin cuts like these you don’t need a heavy smoke because it will overpower the meat. It takes about 90 minutes total cook time for these pork steaks. Flip them every 15 minutes to develop just the right color on each side. Also during the last 20 minutes of cooking glaze each side with BBQ sauce. Let the sauce caramelize on each side for about 10 minutes.